Did you Hear the one About Three men and a Beer in Belgium? 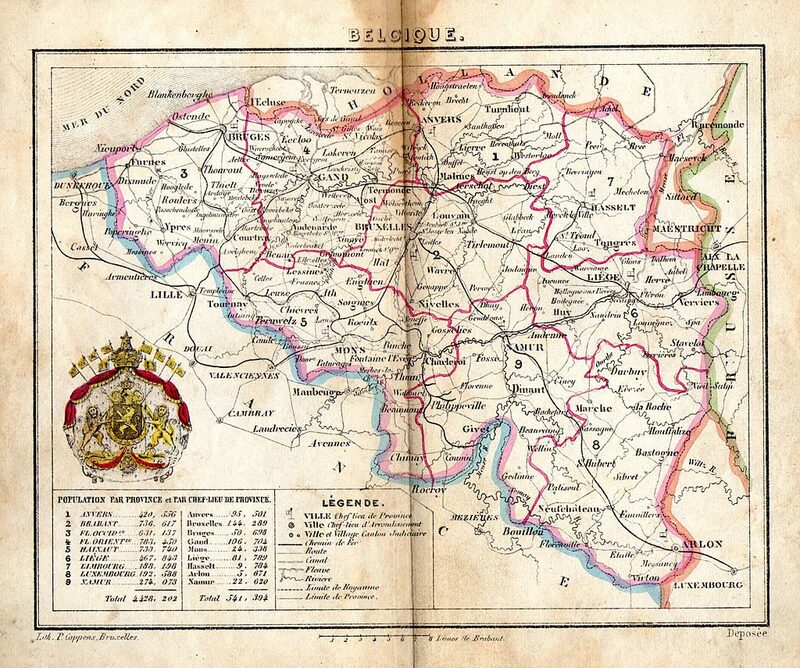 A Taste of Belgium: yes, no, Maybe? Beer is made primarily from barley malt, hops, yeast, and water. Sometimes non-malted grains, or other malt substitutes, or various flavourings (fruits, spices, etc.) are added. Apart these basic characteristics not much else seems immutable in the beer world, with the result that often, tastes or visual traits considered chic today were only a few generations ago regarded with disdain or worse. Our age venerates Belgian beers, which takes in a palette of flavours leading finally to the frankly sour. 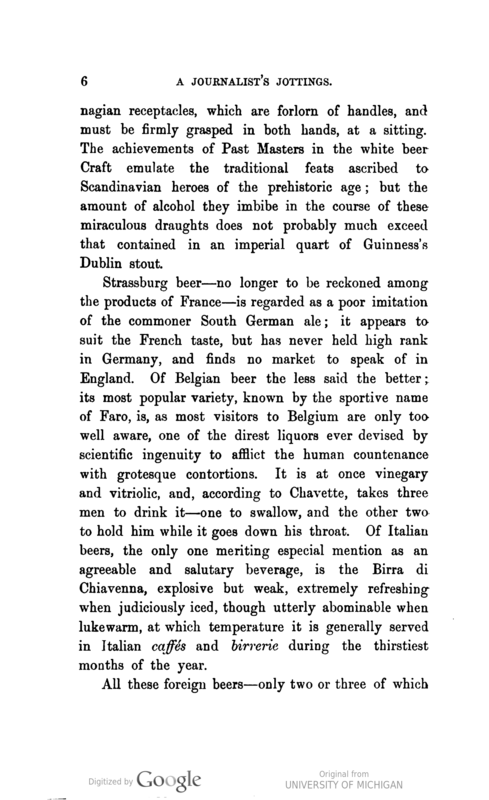 In the 19th century, Anglo-American travellers generally disliked the beers, with sourness often cited as the reason. There were exceptions, as I discussed in this recent blogpost. Alan at A Good Beer Blog gives further examples of visitors’ reactions to Belgian beer in the 1800s, noting some favourable impressions. Having read all these again and further sources I didn’t use to date my conclusion is the great majority who encountered Belgium’s beers then did not enjoy them. Now, in truth that is probably not so different from today, in the sense that Belgium’s more extreme beers, Lambic, Gueuze, Kriek, some Flanders Red, some Saison, are surely a minority taste even in craft circles. IPA, pale ale, lager, porter/stout, and German-style wheat beer seem the main calls, at least judging from what I see on beer lists in pubs and festivals locally and abroad. But the difference is, the connoisseurs of our time defer to the extreme end of the Belgian spectrum. In the 19th century, they did not, especially the Briton confident of his nation’s fame in the brewing arts, the evidence of which – Burton pale ale, Irish stout – was spread around the known world. How funny is that in a time when all Belgian beers except mass-produced lager are a cornerstone of recherché beer culture? Not very. Beatty-Kingston (1837-1900) was a British civil servant turned journalist, librettist, and author, who had long worked in Germany. This brief obituary from the Glasgow Herald gives further data on him. His exposure to German and Austrian beers was obviously in-depth and assisted greatly to produce the beer survey in the book, which is mainly confined to those countries’ productions. The rest of the chapter is well-worth reading. Together with George Sala, Henry Vizetelly, and George Saintsbury, all of whom I’ve discussed earlier, Beatty-Kingsbury was a true progenitor of Michael Jackson and Roger Protz (et al) . It’s not so much the volume of output that counts in this regard but how these writers approached the topic. It’s half-way between the current scholarly academic writing and authors with advanced scientific training who write brewing technology texts. Modern “beer writers” including bloggers occupy the same space. Among other current beer fashions, barrel-aging is an example. At one time the American oak barrels usually used to age stout or other beer were avoided by U.K. brewers for what were thought unusual tastes (vanillin, coconut). I discussed the history in a number of posts earlier this year. Today, barrel-aged beers are hot and those specific tastes are sought after by connoisseurs. Crystal-clear, high-adjunct, low-hopped lager was popular in North America for 100 years but – in craft circles to be sure – has been displaced by high-malt, heavily-hopped pale ales and other pre-lager styles. What is the constant in it all? Maybe it’s really just the alcohol. People want the buzz, it must be there, and is in all these forms of beer. Since hops change over time, malts too, production methods, tastes, that unchangeable DNA of beer is perhaps the only real constant given the core definition in the first paragraph above. This should induce people to a due modesty when talking about beer. What was dogma in one time can become a detail in another or worse, bad practice. Enjoy what you enjoy, don’t apologize for it, but on the other hand be chary of imposing standards on others. Of course, encouraging people to try something new is different, it is all to the good if done with courtesy and the sense genuinely to inspire, not restrict. *The Chavette mentioned was the French comic novelist Eugene Chavette, see more here. **Many readers will know that George Saintsbury was a noted literary scholar based in Academe but he also worked for years in newspaper journalism in an early phase of his life, especially in Manchester. His 1920s Notes on a Cellar-Book, which has a chapter devoted to beer, reflects influences from his dual spheres.